Default-search.net belongs to Linkey Inc. and is classified as a browser hijacker. This means that it can alter browser settings and cause other modifications, all of which are aimed at promoting its sponsors. By advertising the sponsors of the hijacker, Linkey Inc. makes money. Unfortunately, computer users do not benefit from this at all. Quite the opposite, in fact, as the inserted adverts cause nothing but slow downs and interruptions, not to mention, that they are not all safe. It is important that you avoid all unnecessary risks when it comes to online surfing. That is why we recommend that you get rid of Default-search.net and its related application without delay. 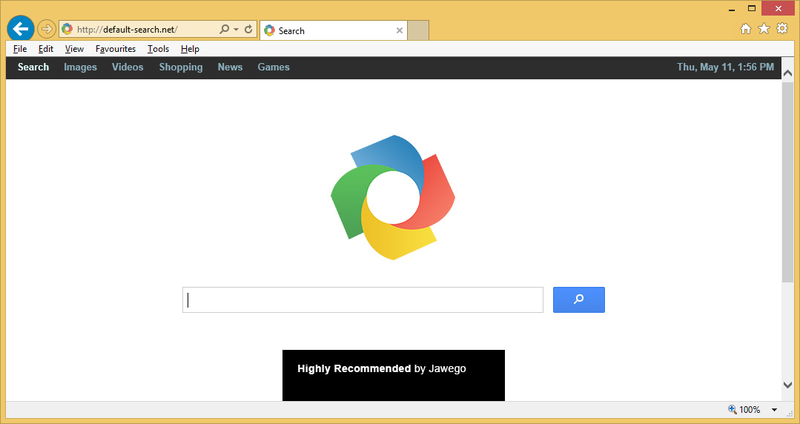 The hijacker uses other freeware to spread on the Internet. It attaches itself to free third party software and enters the system when users fail to pay attention to the installation wizard. Although it is possible to deselect the potentially unwanted app and install only the chosen software, users often skip through the setup without checking all information provided in it. That is how they allow useless applications to be added to their PC. Make sure that never happens again by always installing software in the Advanced mode and declining all additional offers. The first action taken by the hijacker is replacing your browser settings including your home page and default search provider with Default-search.net. The site has a search box, search parameters, and links to various articles. The search box usually reroutes you to Yahoo.com, which is a safe site, but it may redirect you to other pages as well. Moreover, the hijacker will ensure that you see advertisements no matter where you go online. They will appear in various forms such as pop-ups, banners, videos, coupons, and so on. In order to eliminate these ads, you will have to erase Default-search.net from your browsers for good. You can delete Default-search.net manually or automatically. Manual Default-search.net removal is not too complicated, however, if you think that you have more than one unwanted program on your computer, you should go with the automatic solution instead. If you use the anti-malware utility from our page, it will scan your PC, detect all unsafe files and programs, and eliminate Default-search.net along with them. You will have a clean and protected system as long as the security tool stays installed and up-to-date as it comes with malware prevention capabilities. The alternative option is manual removal. In order to terminate Default-search.net manually, you will first have to identify and uninstall the application that arrived onto your computer with the hijacker. Once you do that, you should be able to reset your browser settings without much difficulty. You are welcome to follow the instructions below for more details.